Cartography is the science of mapmaking. As technology has improved, so has the science of mapmaking. Originally, all maps were hand-made, which meant that each map would differ from other maps even of the same area because a different person was making the map. There would be similarities, of course, but not exact correspondence. The invention of the compass improved mapmaking, but it wasn’t until the invention of the printing press that maps were able to become uniform. The same map could be copied over and over again because of the printing press. The combination of the telescope and astronomy allowed mapmakers to determine their latitude which helped improve mapmaking. Finally, with the advent of satellite, GPS combined with computer software made highly detailed and accurate maps possible. 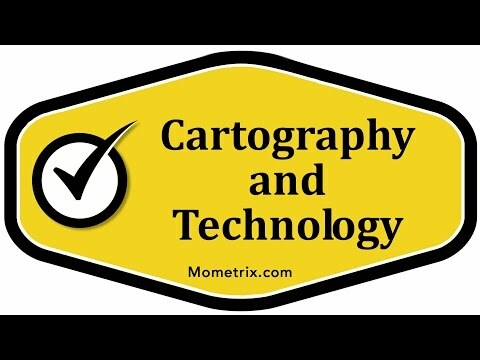 Cartography and technology deals with maps and the development of them throughout the years. Originally, maps were handmade. Every time a map was handmade, it differed slightly from the one before, even if it was the same person making all the maps of a particular area. They were all going to differ slightly, because they were made by hand and were subject to human error. The development of the compass greatly helped mapmakers, because then they could be more precise in their map making. The invention of the printing press really help the uniformity of maps overall, because now map makers could make one map and they could create an exact duplicate over and over again until everyone had a map that looked exactly the same of the same area. It took out a lot of room for error. The invention of the telescope and other devices like it allowed cartographers to use the sun at noon or the North Star and measure it, so they could figure out their own latitude. The development of computer software: Today we have GPS’s and range finders that allow people to make maps on the go. In addition, commercial quality maps are made on specialized computer software that helps map makers be extremely precise and accurate. That’s a quick look at the development of maps throughout the years.